Erroll Garner was born June 15, 1921 in Pittsburgh, Pennsylvania. He died on January 2, 1977 in Los Angeles, California. He taught himself how to play piano at an early age and throughout his storied musical career he never did take formal lessons. This may partly account for his unique style, which was both complicated and at the same time very accessible. Besides being a talented pianist, Garner was also a gifted composer, with one of his best-known pieces being the classic “Misty” which became a standard. He had a prolific recording career and released dozens of albums right up until ill health forced him into retirement two years prior to his death. There are eleven songs on “That’s My Kick” including five on side one and six on side two. (I am reviewing it from my nearly pristine vintage vinyl LP, the same one that I won in that on-air contest on KEX that I mentioned earlier.) Of the eleven songs, six bear Garner’s name and the remaining five are one-off’s from five different composers. We begin with the title track, the first Garner composition. It opens with a bit of nonsense but quickly settles down into a swinging little piece of music with Garner not only hammering away at the keys, but also regaling us with his famous “swinging grunt” practically right out of the starting gate. The others join in and “That’s My Kick” turns into a delightful song that will cheer your heart. Next we have “Shadow Of Your Smile” from the pens of Johnny Mandell and P.F. Webster. This one is mostly Garner’s piano and Mangual on bongos at first, then Richardson and Lovell join and Hinton keeps time marvelously throughout. The guys do a knockout job on this one. Track three is another Garner composition, “Like It Is,” a hand-clapping, foot-stomping gala that will dare you to remain seated and motionless, if you can. Don’t feel bad if you find something moving, because this song’s infectious happiness makes it almost certain to happen! The George and Ira Gershwin song “It Ain’t Necessarily So” follows, and Garner’s grunt gives the piano a run for its money as to which is the dominant instrument here. I’m not sure how to describe that grunt. 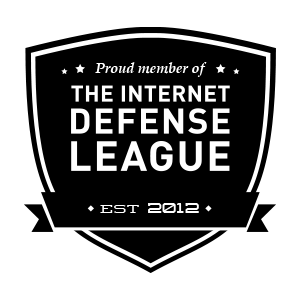 If you’ve heard it, you know what I mean. If you haven’t heard it, I don’t think there is anything I can say that would do it justice. Grunting aside, “It Ain’t Necessarily So” is a beautiful song performed here with great style. Side one ends with the classic “Autumn Leaves,” written by the team of J. Cosma, J. Prevert and Johnny Mercer. This is another one that jumps up and runs off from the opening note and defies you to sit still from start to finish. If this album were recorded in a club before a live audience, it is easy to picture those lucky (but imaginary) listeners coming to their feet and bringing down the house at the conclusion. Side two opens with another standard, Rogers & Hart’s “Blue Moon.” Like “That’s My Kick,” “Blue Moon” opens with a bit of polyrhythmical nonsense that would kill this song for me if it lasted very long. It quickly goes away, however, and we left with a delightfully happy sounding, melodic song that anyone would (and should) love. After “Blue Moon” we have a song I have never heard of before, written by three composers who are likewise unknown to me, Ortononi, Oliviero, and Newell. The song is called “More.” This one also opens with more of that polyrhythmical “stuff” before settling into another great little piece of music. Like most of the rest of this album, it is lively and lovely, and the guys seem to be having a great time playing it. The Garner composition “Gaslight” is up next. This is both the mellowest song on the album and, at four minutes, thirty second, the longest. It is a beautiful song, and provides a welcome counterpoint to the upbeat enthusiasm of the previous songs. Next we hear a song Garner called “Nervous Waltz.” It doesn’t sound very nervous to me, although it does sound very waltz-ish, if that’s a word. (Okay, I know it is not a word. Give me a break.) I have never counted waltzes among my favorite musical styles, but I have to admit that Garner’s take on this was spot on. It’s such a wonderful song that if you force yourself to listen to it (as I did for this article) you will find yourself pleasantly surprised. Two more Garner compositions round out the album. “Passing Through” is another brilliant, fast-paced piece that guarantees to get your heart rate up, while “Afinidad” is a somewhat slower song whose unpredictability keeps you listening and guessing right to the very end. 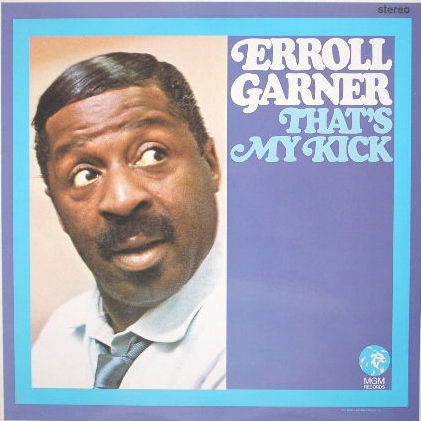 It should be fairly obvious that, in my opinion, you will find Erroll Garner’s “That’s My Kick” to be a delightful addition to your personal playlist, for a Saturday, or any other night! You can read a little more about Erroll Garner and his music in Scot Yanow’s brief bio of him on the allmusic.com web site. Another brief writeup about him can be found here, on the Internet Movie Database web site, and oldies.com has a nice bio here. “That’s My Kick” is available online in both CD and vinyl LP formats. My original content is Copyright © 2013 by Al Evans. All rights reserved.